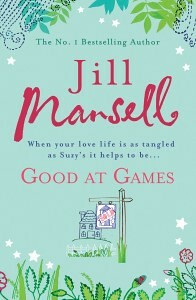 t*rexes and tiaras: Tuesday Titles 053..
Good at Games was my first Jill Mansell book. 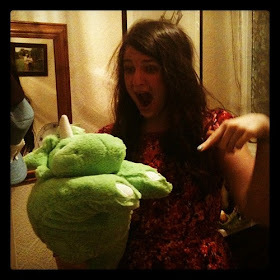 I picked it up from a jumble sale in a little village in the Cotswolds when I was about 15, for 20p. I'd never heard of her before but got stuck straight in. I've reread this book a number of times now, and can genuinely say that I enjoy it just as much every time. There aren't many authors' books which I can say that about. Suzy, who falls for policeman Harry when he stops her for speeding, has to think fast to get out of trouble. Telling him that she's in a rush to the hospital with her husband's sperm sample (actually the dregs of her milkshake), she thinks she's managed to get off scot-free. It's not as if she'll ever see a random policeman again, is it....? I loved this mixture of characters. Nancy, who leaves her husband when she realises the jewellery she knows he bought recently was for another woman. Carmen: Nancy's best friend, who lets her stay. 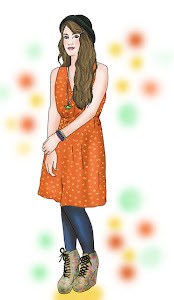 A recurring theme with this one as Rose, Carmen's mother who arrives to stay with the house and basically takes over the sorting out of everyone's lives, along with Mia, the straight-talking daughter of their neighbour, Cameron. Two's Company always amused me a little. The idea of a family in the public eye is entertaining enough, but one of the ideas the daughter, Cleo, comes up with as a means of revenge, during the book is something which resonated with me, as I have to admit I'd done something very similar a couple of years before reading this book. So that's something which always makes me smile when I reread this. 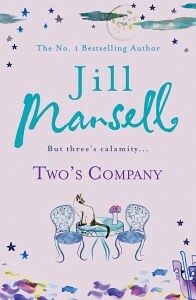 As with all of the others, Two's Company is a feel-good read, and the secondary characters to the Mandeville create enough interest to keep you engaged until the inevitable neatly-tied-up ending. 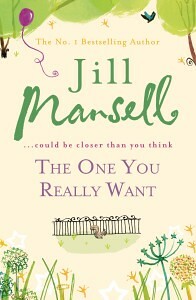 Basically, I'd say that anything by Jill Mansell is going to be a nice, comforting read. She's a writer I go back to time and again. You know where you are with a Mansell book. There's always a mix of characters, someone you can get on board with, and a feel good ending. Do you have a fall-back author? I've only read a couple of Heyer. I should broaden my Heyer horizons!